Retired or repairable stock causes increased storage costs for products that aren't making any money and affecting the profitability of your business. So recover maximum revenue from assets by remarketing your retired IT equipment. We increase your resale revenue by leveraging our retail and wholesale marketing channels including resellers, retailers, brokers and dealers. We sell worldwide, to get maximum ROI. We specialize in remarketing or selling your recently retired/ old IT equipment. Our primary focus is the data center. 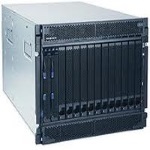 We will sanitize all data from your equipment, refurbish as needed, and return to you for redeployment. 1) Send us assets lists. 2) Get assets valuation. 3)Get cash for your assets.